We all know the future is video. Whether you have fancy lights and a camera that costs more than a car, or you have your iPhone taped to a broom, you know you have to come up with the best you possibly can to keep your audience engaged. I’m not going to pretend that all media is created equally. If you’re filming on an R3D, your interview or commercial will look better than if you just have a GoPro, but it’s not all in the capturing of the footage. Arguably most of the creative storytelling comes from the post-production stage. I mean, we’ve seen short films recorded on a handheld camcorder that probably cost $100 make it into Sundance. What I’m saying is, it’s about content and storytelling more than it is pixel count for most people. Like with all content, with video, you really want to put your best foot forward. Showing the world a cohesive, stylized vision can help sell your brand the way you want to. Conversely, showing the world a haphazard video can lower viewer’s confidence and opinion of your brand. But how do you make that story? How do you take the raw footage you have and turn into something that people will talk about and share? Especially as a marketer who may be new to video? 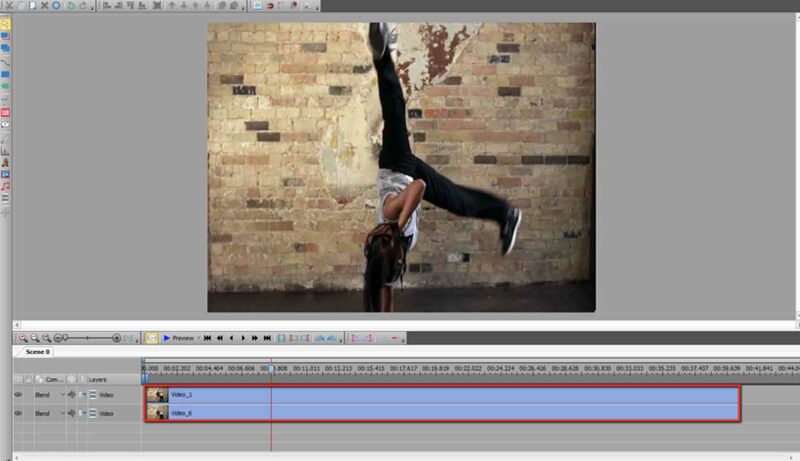 There are a lot of editing programs and tools out there for a variety of budgets and skill levels. If you know your way around an editing suite, great. If not, don’t worry. The internet is full of tutorials and easy-to-use programs. Learn how to start differentiating your brand from the competition by telling a remarkable story that resonates with your audience. If you've never edited a video before, don't panic. 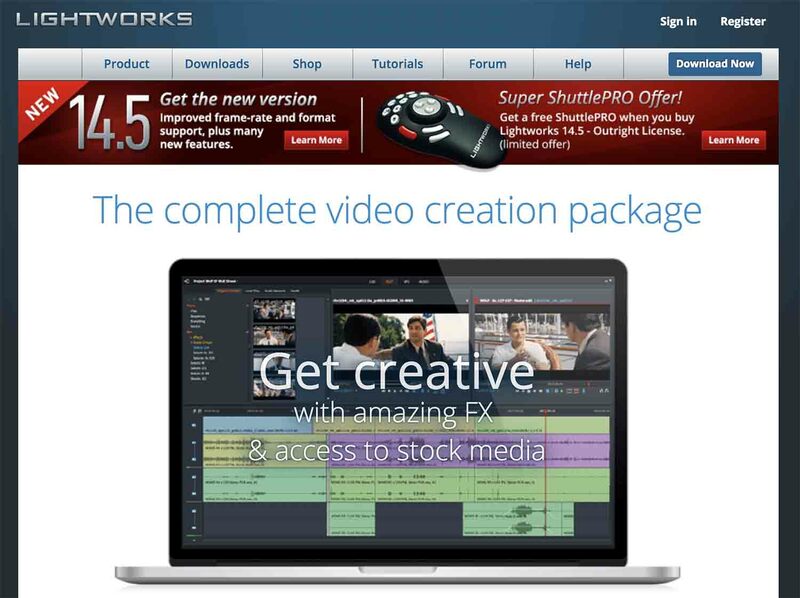 There are plenty of free and paid video editing options on the market that are easy to use. This free program provides a lot of bang for no buck. So, if you’re a beginner, it’s a pretty good place to start. Included in the program are somewhat advanced options like blend overlays, and the options to mask and key. You can also control the speed of the clips as well as add filters transitions. 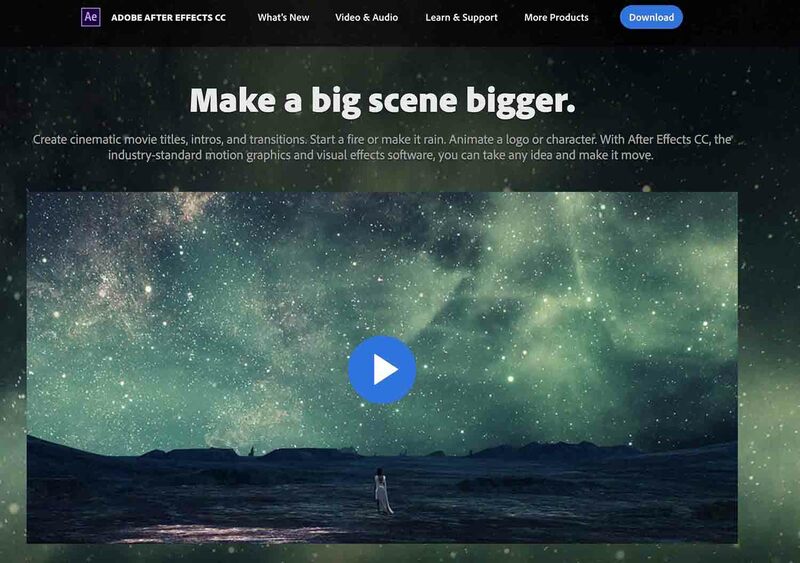 If your brand is looking to get cinematic and try out some green screen footage, this might be a good program to start with and with its free filters, it would also be a good option for social media videos. Some reviews say it’s not exactly user-friendly, and it does have its quirks, but if you’re looking to try out editing and don’t want to put any money behind it, there’s really no downside. iMovie is a quick and easy way to edit videos for beginners. There are a ton of templates which makes this the ideal software for quick turnaround projects and the transitions and animated titles give your production a little extra flare with almost no effort. It’s also good for just quick clip cutting and cobbling together something simple. Marketers would find this useful for quick culture videos on social media or those that only need basic cuts and fades. 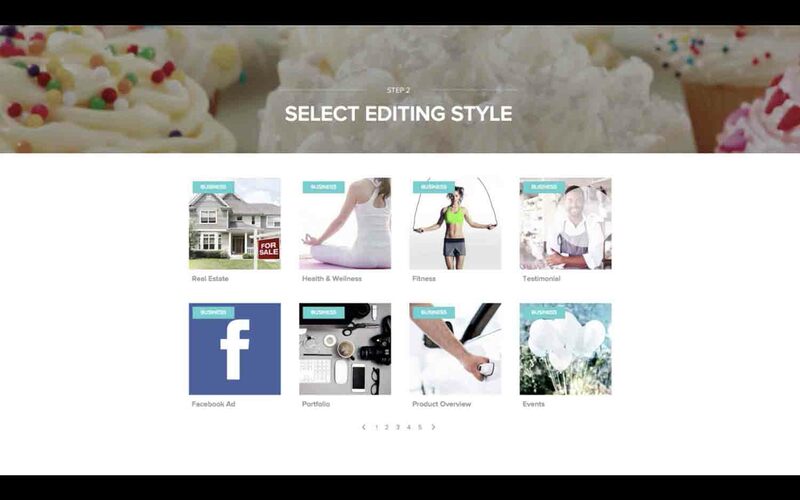 If you’re new to video editing and intrigued by the idea of templates, I would steer clear of these when it comes to crucial sales videos or those on your website. 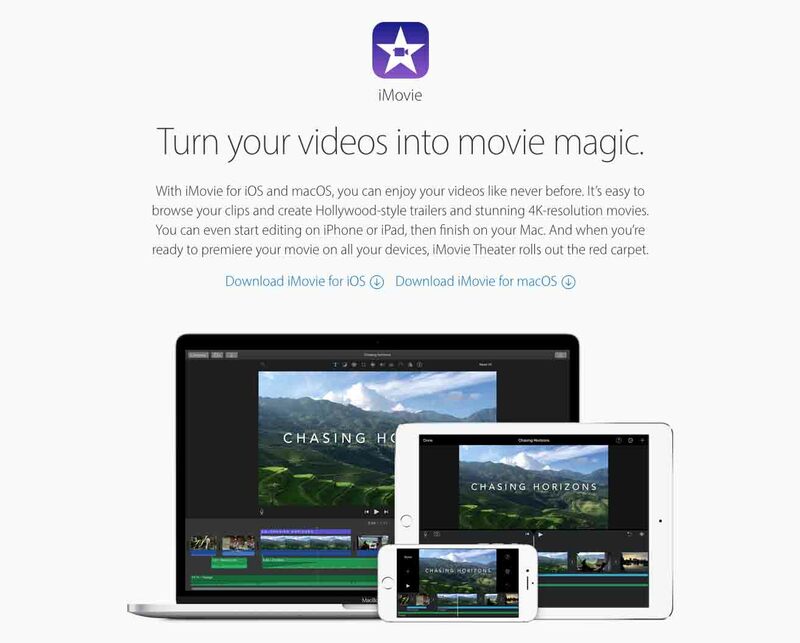 As iMovie is a popular tool among general consumers, using them could be seen as unprofessional or low-budget. Aside from that word of caution, the only really annoying thing to note is you can’t transfer project files which has hurt me with a client before. Now, this free program is easy to use once you get a hang of the UI. It has good video and audio filters, making it a good choice for posting to social, but it has a limited amount of preset export formats. Knowing the destination of your final export is important for quality. If you’re focusing heavily on YouTube or Facebook Marketing, you may not want to use this tool until you’re more familiar with the settings best used for each platform. There also doesn’t seem to be a huge support community for questions, which can be tough for newcomers. Magisto is basically automatic editing. You can select your own music or use one of their suggested tracks, and it’ll put something together for you assuming you don’t need to trim anything out in the app. This automation is cool and efficient if you need a video quickly, but it does limit creativity as there’s not way to control the order of the images you put in there. There’s also a time limit for the length of your video with each budget. Still, it’s a fun way to put something quick together if you’re looking to post mostly to social. It’s especially great to use on mobile. Edit on-the-go with this free app! It has a clean interface, comes with background music, and has a good collection of filters. You don’t need a paid Creative Cloud account for this, but if you have one, you can export what you started on your phone and finish it in Premiere, oOr, finish it on your phone and upload straight to social media. This is ideal for the marketer who’s always on the move, but posts to social media frequently. Adobe is always the peak of professionalism so it will make your Instagram and Facebook videos really stand out. Make sure you film in traditional, horizontal orientation though, because you can’t rotate your clip in this. There’s also no real templates or transitions, but it’s simple and fairly easy to use. 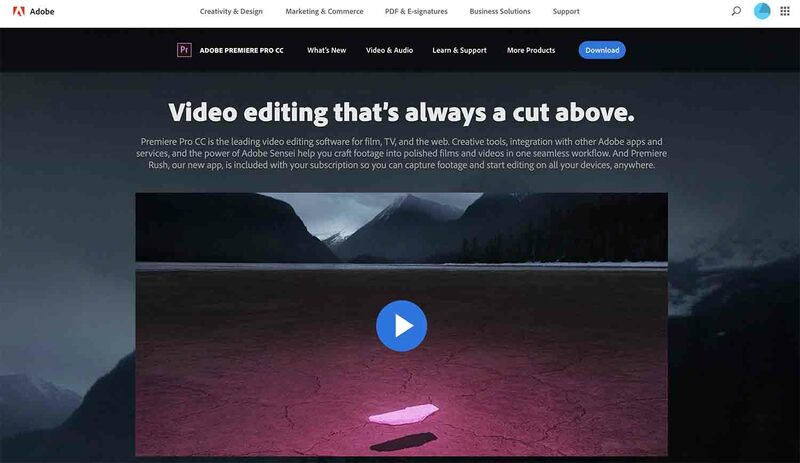 Now, if you've dabbled in video editing before -- or you like to think of yourself as more of a video pro -- you probably want to dive right into video editing software that caters to the more seasoned marketer. We are all for that, but not without a word of caution first. Advanced tools may seem appealing to a beginner because you will get more "advanced" results. However, you should only take that step up in sophistication if you already have the skills in-house, or if you have a team member who is dedicated to learning the art of video editing. In short, if you don't have advanced resources, don't pull in an advanced tool. I won’t lie, I’m an Adobe girl myself. I basically started out editing on this program and have rarely been disappointed in it. 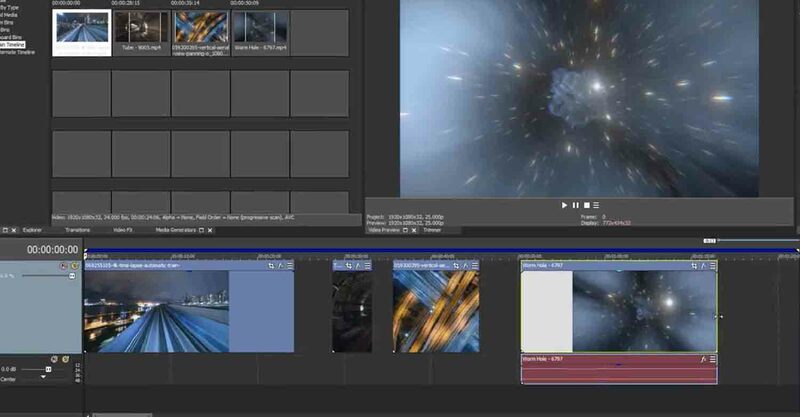 This is an advanced editing software, and while it is possible to learn, if you’re looking for a quick turnaround, you might want to start somewhere else. That being said, if your team needs to edit an interview for a customer testimonial or has the need for a lot of graphics, it’s very easy for this to be your only software and be more than enough. The essential graphics panel gives you presets that you can fit to your needs, whether it be names and titles for your lower thirds, or an opening graphic for your video. These features do a lot of the work for you and make you look professional and polished. If you create your videos with it, you can publish confidently on any platform, whether it be social, web, film, or even TV. You can get all sorts of paid and free third-party plugins to help you along in your creative adventure too! If you keep reading, you’ll find a few of my favorites, but these plugins can range anywhere from color correction presets to light flares. They add that extra glitz to your videos that will make people remember them. As a subscription SaaS, Premiere also rolls out updates to make sure you’re getting the most out of your software at all times. Sometimes they are glitchy early on, but they are quickly resolved, and the community is always helping out with solutions. Plus, with literally millions of subscribers, you can bet that their online support community is solid. Only once or twice have I been unable to fix a problem thanks to their very specific forums. Overall, this software is amazing, but is not really geared towards those starting out, especially with it’s monthly subscription pricing model. Price: If you have the skills or have time to invest to learn the software and $40 a month, or $20 if you’re a student (or $20 for just Premiere, and not the entire suite), it is definitely worth it. I learned on this one when I first started at film school. 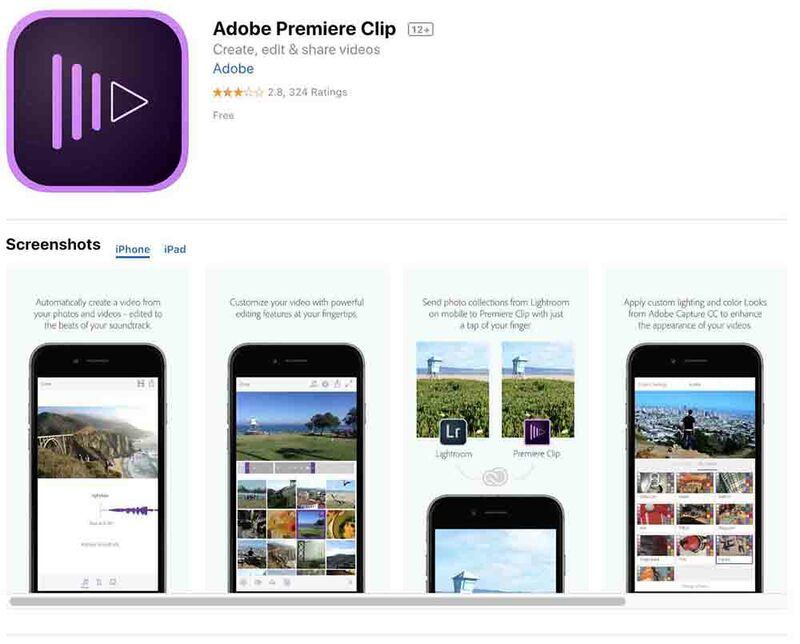 When I used it, it was basically iMovie’s older brother. It has that same layout feel, and ease of use to it, but with a lot more function. It now supports 360 and HDR footage, includes Mac Touch Bar support, and has over 100 video and audio effects. It’s also good for color correction, but bear in mind, this all comes with a bit of learning curve. There are a limited amount of codecs and file types included which will limit what kinds of footage you can work with. This is a program that can give you a more cinematic look and feel to your projects. If you want your brand to look professional and artistic, but don’t have a huge budget, this tool will definitely help. This program is for a marketer on a budget that wants to get the most out of their videos, and isn’t afraid to get into the weeds with their editing. Similar to Premiere, you can add third-party plugins as well. 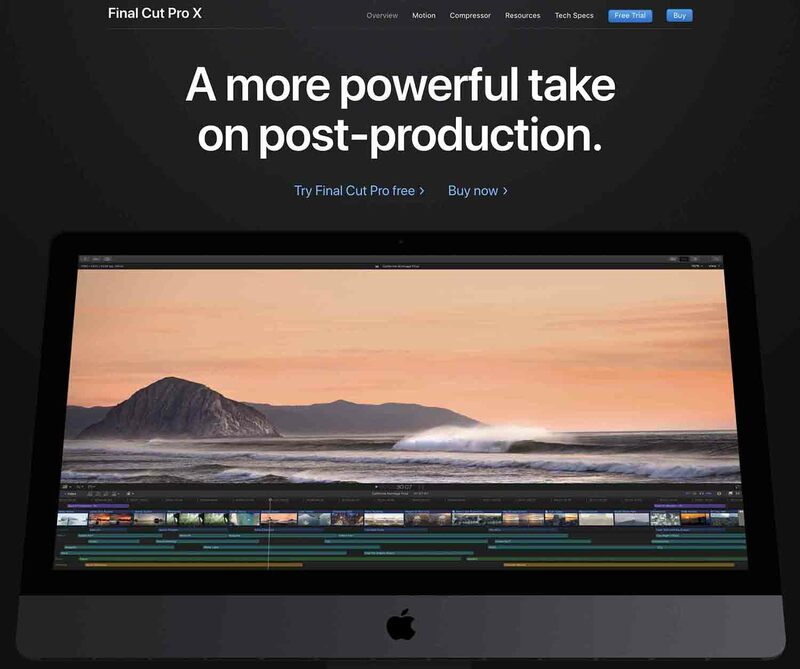 However, honestly, I’d say if you’re serious about putting together professional marketing videos, are a Mac user, and don’t need the razzle-dazzle elements of Premiere, this is the best choice. Price: For a flat rate of $300, you are also entitled to any updates they do for free. Now, for the price, PowerDirector is definitely the PC pick for me. 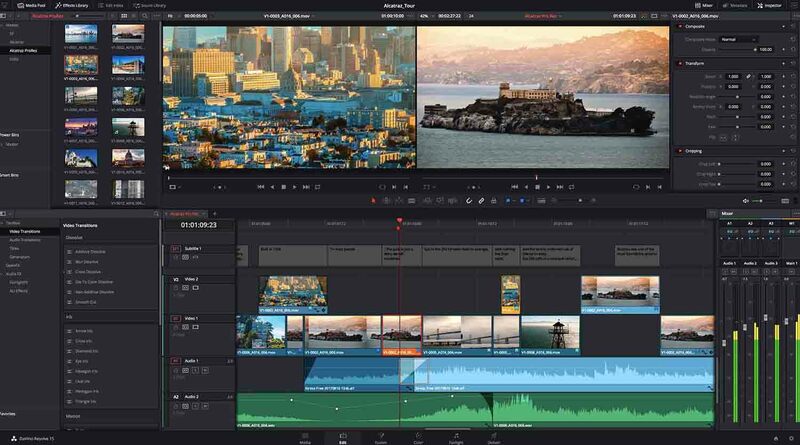 It is extremely user-friendly, but you get advanced features like 360 footage editing, motion tracking, and keyframing and it supports 4K as well. If you’re looking to create complex videos and have an editor willing to learn, this is the software for you. It can be a little overwhelming for beginners, but there are tutorials out there. Users have also reported weak color matching, but if you keep your white balance in mind while shooting, you should be fine. Price: There’s a 30-day trial version you can do before you go for either the $100 or $130 version. This Mac and PC-friendly software is free and quite robust. It supports a wide range of video formats, allows you to make proxies, which let you edit huge video files at a lower resolution and replace before exporting, and has easy timeline editing. This program is for marketers with their eye on their budget, looking to post mostly to social media sites mainly because the exports it offers align with what is optimal for those sites. Although you can use it on Mac, users of the machines have reported it isn’t very Mac-friendly and that there’s a steep learning curve. 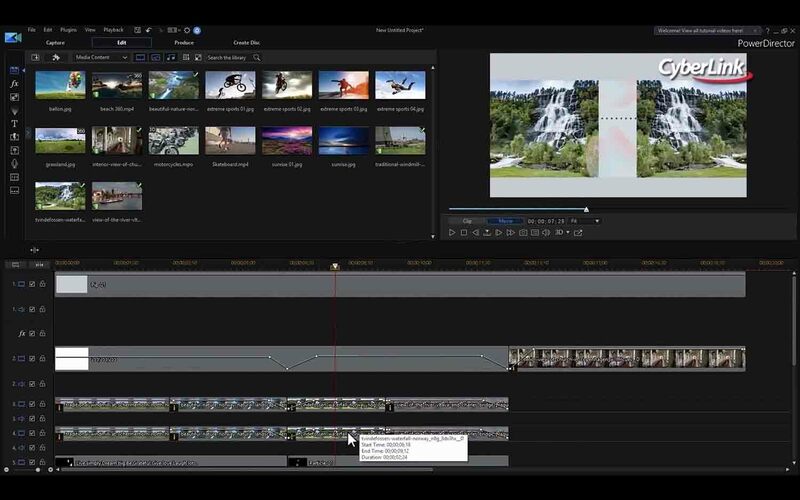 Sony Vegas Pro is on the pricier side for sure, but you get the pro-editor features like motion tracking, HDR support, 360 footage support, video stabilization, speed control, masking, and good presets for color correction. This is for a marketer who knows what they’re doing and wants a professional finished product, but also has the budget. If you’re going to spend the money, I suggest you already know how to use the best features of this program (or have someone on staff who does). If you’re looking for a flat rate program that nearly stands up to Premiere, this is your guy. Price: Another flat rate program, it’s yours in differing packages from $400-800. Only available for PC. I love me some 3D animation and this software lets you do it! 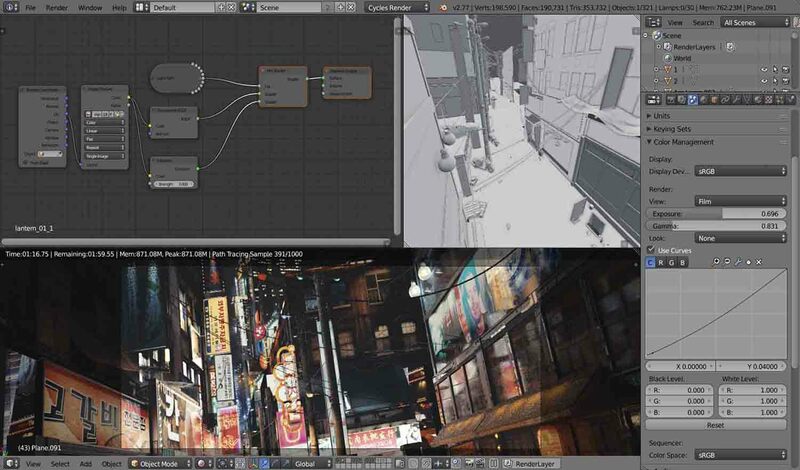 You can get some truly amazing stuff out of this program, and there are tons of websites like Turbosquid to lend a hand in free and paid objects for you. Whether it’s realistic 3D renders of under-construction real estate, or animated characters for an explainer video, there’s not much you can’t do with 3D animation. Blender can help you add a little variety to your videos, and possibly add a lot of value if you get someone who becomes a pro. There’s also a ton of tutorials and online support, which you’ll need to get going since it’s a little quirky. If you’re looking to get started with 3D editing, this is a good place to start. There’s so much you can do with this program. I’m obsessed with it, honestly. Marketers will get the most out of this program if they’re looking to do advanced/custom motion graphics, a lot of motion tracking (for example, personalized videos for Vidyard), or animated explainer videos. Like Premiere, it updates with new features every so often, the support community is amazing, and the tutorials are seemingly limitless. It also integrates with C4D, another 3D editing software, which comes with it for free. There are also tons of amazing paid and free third party plugins. I mostly use it for motion graphics, but have been known to use the occasional green screen or even turn someone’s eyes into demon eyes for Halloween. You can do almost anything you set your mind to in here. That being said, it’s not geared towards newbies, and it’s still that monthly Adobe rate instead of the flat fee. Price: If you have the skills or have time to invest to learn the software and $40 a month, or $20 if you’re a student (or $20 for just After Effects, and not the entire suite), it is definitely worth it. DaVinci Resolve offers full editing, but most of my editor friends that use this program don’t necessarily do their cutting in here. They do rely on it for color correction pretty heavily, however. It’s compatible with Final Cut, Avid, and Premiere so you can move the color correction or whatever you do between projects easily. With a helpful community, you can find great info on color correction, motion tracking, and even noise reduction. These functions can help bring your video to that Hollywood style color that you see in movies (with enough practice) for no cost. It is a steep learning curve, and you really need two screens, especially if you want to color correct, but if you’re a detail oriented person, you’ll like this program. 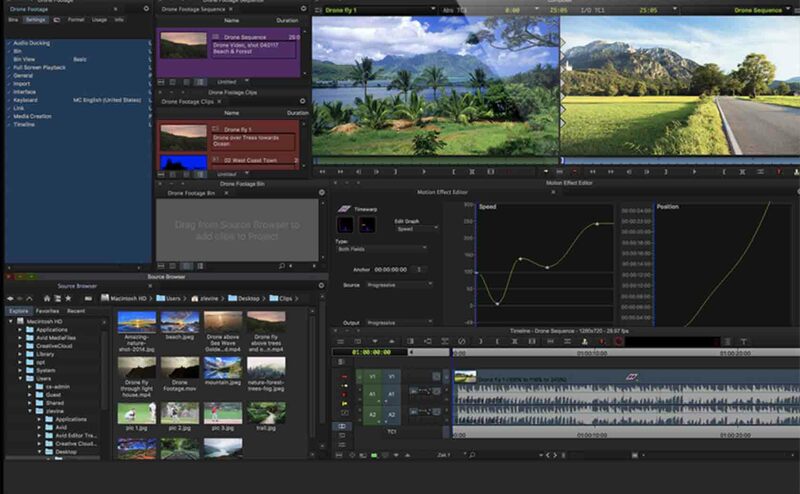 This is the most sophisticated video editing software you’ll get for free. 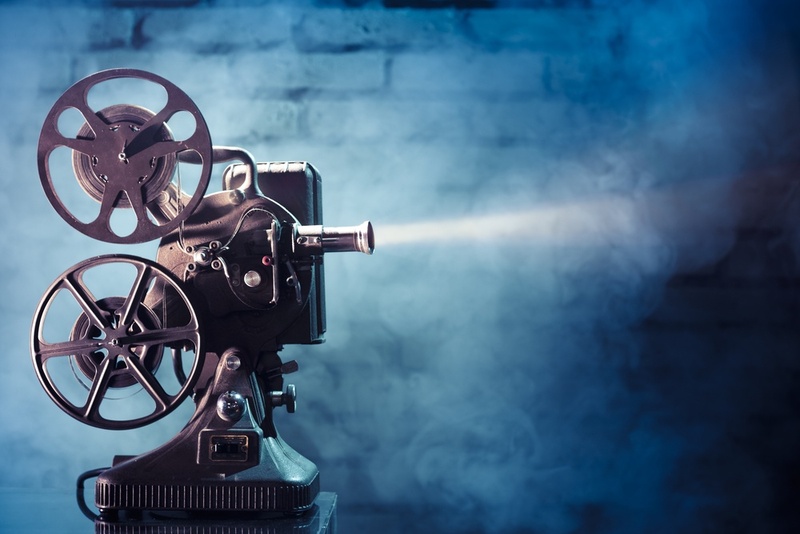 It has a lot of high-end tools like speed control, color correction, and footage stabilization that can take your footage from looking merely amateur to pro pretty quickly. If you’re looking for really technical controls to add some polish to your videos, but you don’t want to pay for it, try Avid. It does have a steep learning curve, and the free version doesn't support 4K, or a lot of image formats. Editing programs are all well and good, but sometimes you need or want a little extra sparkle.. These are like the sprinkles on a delicious donut - not necessary for the final product, but definitely make it look better. A great toolkit to have to start out with can be found here on Shutterstock. They have a ton of animations, transitions, LUTs, and overlay elements for free. I personally love adding a little dust or some light leaks sometimes, and it can be hard to get those organically. These are awesome for that extra touch for someone with no budget to make your videos pop. It also comes with instructions on how to use it. It’s compatible with Premiere and Final Cut Pro. I couldn’t resist putting this in here. If you have a serious budget and a serious will to learn, you can have a lot of fun with Red Giant’s plugins. I got to play around with their trapcode suite and things you can do with it are incredible. You can create volumetric light, smoke, snow, rain, or almost any other VFX you can imagine. These plugins range in complexity. There are almost Hollywood level VFX you can achieve, but there’s also motion graphics packages if you want to make your intro cards and lower thirds really stand out. It’s compatible with a fair amount of programs too, but probably best used on Adobe. There’s also a lot of support and tutorials for it, so you won’t be alone in your investment. Basically anything from Video Copliot is awesome. I love their tutorials, and their plugins look amazing. They have an elements package that gives you a huge range of sound effects, motion graphics, and 3D elements like fluids and particles. If you want to channel your inner JJ Abrams, they have a package of optical flares you can buy, starting from around $125,or, if you’re a Michael Bay fan, maybe go for their Action Essentials package, starting at around $100. This is an add-on for a marketer on a budget who just needs a little extra flare to their videos. 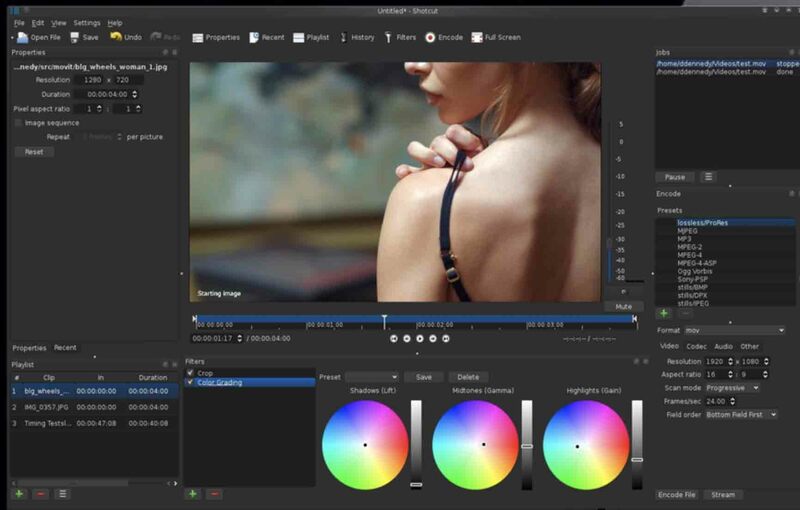 It’s also compatible with After Effects, Final Cut Studio, Premiere, and other QuickTime based software. Whether you’re just starting out, or into the weeds with editing, these are some helpful tools to get the most out of your footage. This isn’t the dawn of film. Audiences can spot a bad edit, even if they don’t know technically why it’s bad. Having these valuable tools can make or break your video marketing strategy because what you create, and how well you’re able to create it will tell the world exactly what value you have to offer. If this seems way too overwhelming, we can help with that. Whether it’s our video training services, or our in-house production team, we can assist your video needs.